LONG ISLAND, N.Y. February 2, 2018. Alternative EarthCare has been providing quality residential and commercial services across Long Island, New York since 1996. Specializing in mosquito, flea, and east end tick control service, traditional lawn services (including aeration and seeding), irrigation system services, tree removal and pruning, and Christmas and holiday light installation, the team of professionals successfully caters to your needs in the least toxic, most organic way possible. Gypsy moth caterpillars may look harmless, but they are not. With preferences for a long list of tree types, from oak, elm, and maple, to fruit trees, willows, and evergreens, these pests pose a threat to a large number of Long Island properties. 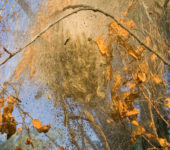 Gypsy Moth Caterpillars can cause destruction from defoliation to tree death and must be controlled to maintain the integrity of properties and their trees. 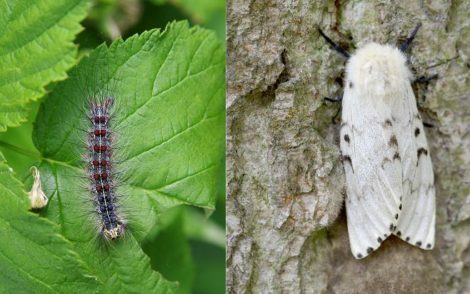 Alternative EarthCare provides Long Islanders with a checklist for managing Gypsy Moth Caterpillars. Eliminate breeding grounds and shelters Remove dead branches, tree stumps and debris from yards to minimize breeding grounds. Remove shelters on trees by scraping off loose flaps of bark and removing dead branches. Watch for and destroy egg masses Female Gypsy Moth Caterpillars lay their eggs on trees and under loose tree bark in large masses. Start by scraping masses off the tree, but do not leave them there as they will climb back up. Once removed from trees, Soak egg masses in soapy water or kerosene. Be sure to wear protective gloves and, if dealing with kerosene, eye goggles as well. The small hairs on Gypsy moths can cause allergic reactions so they should not be handled without protection. Utilize barrier bands Create bands on trees from double sided tape, petroleum jelly, or grease, applied on top of an impermeable surface such as duct tape, to prevent Gypsy Moth Caterpillars from climbing up trees. Never apply these directly to the bark to avoid bark injury such as cankering. Diversify tree composition Trees such as ash, balsam firs, black walnut, red cedar, flowering dogwood, and sycamore, and shrubs such as mountain laurel and rhododendron, are typically avoided by Gypsy Moth Caterpillars. Planting a few of these throughout the property and near trees that attract the pest, will help to subdue the spread of moth activity. Obtain regular professional treatments such as dormant oil application Dormant oils kill insect eggs and prevent future infestations, not to mention that they also prevent other tree diseases as well. Obtain regular professional treatments to ensure the integrity of trees and the property as a whole. Professionals will analyze trees and other property issues to provide the most targeted, customized approach for individual property needs. Maintaining healthy trees, lawns, and other vegetation and landscaping elements, helps to create curb appeal and resale value, and most importantly, makes properties easy to enjoy in the spring, summer, and fall seasons. Serving both Suffolk and Nassau County, including the East End and the Hamptons, Alternative EarthCare offers a variety of organic, non-toxic lawn care services for your home or business. 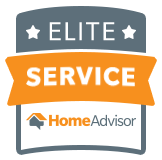 In addition to beautifying and maintaining properties, the award-winning staff is also dedicated to the safety and health of their customers.